An investment in the real estate market of Greece at this moment is ideal if you are looking to take advantage of the fire side sale, now taking place. The worst economic crisis in modern Greek history has created a once in a life time opportunity, to buy property that was not affordable just 6 years ago. The GDP (Gross Domestic Product) of Greece has shrunk by almost one-quarter, and real household disposable income has decreased by over one-third. Thousands of formerly profitable businesses have been forced into bankruptcy. Owners of these enterprises along with their erstwhile employees are now being forced to liquidate property holdings on a massive scale. Along with this there has been a collective exodus of young graduates and professionals. This has resulted in real estate becoming a buyer’s market. The long feared Grexit, that is Greece leaving the Euro-zone has not come to pass and that danger is now beginning to fade as the Greek economy nears the bottom of a terrible economic crisis as a result of the financial panic of 2008. Although it is still quite likely, that Greece will need a third international bailout in 2015. Greece has come a long way since 2009 when the country was forced to begin the implementation of one of the most challenging economic and fiscal readjustment programs in modern history. The substantial monetary aid that the nation would receive from European partners and the IMF (International Monetary Fund) was conditional upon an pronounced austerity program. After four wrenching years of financial and structural reforms the Greek economy is finally at the point where a new growth model can be allowed to take root. Recovery of the economy is now set to commence. What had been necessary to allow the Greek economy to resuscitate, was to eliminate the twin deficits. These were the current account and fiscal deficits that Greek governments had allowed to accumulate to unsustainable high rates over decades of mismanagement. The restructuring unprecedented in modern Europe, had achieved the almost politically implausible task. Not only have both deficits have been eliminated but they are now both in surplus. Since 2009 the primary deficit (annual budget deficit minus interest payments on accumulated debt) had declined from more than 10% of GDP to a primary surplus exceeding 1% of GDP in 2013. Correspondingly the current account deficit shrank by 12.5% of GDP. In 2013 there was a current account surplus of 0.7% recorded. Also important to the Greek economic recovery with the decline in wages, unit labor costs are competitive as compared to other national economies in Europe. Although GDP dropped by another 3.9% in 2013 real economic growth is expected to return in the second half of 2014, after six years of recession. The economy had contracted 0.9% in the first quarter and only 0.2% in the second quarter of 2014. It is important to note here, that the Greek government had predicted that economic growth would return in the first half of 2014. Other encouraging signs is the growth in the export of goods and services from Greece (1.8%) in 2013. Greece had the lowest inflation rate in the Euro-zone in 2013. CPI (Consumer Price Index) turned negative in March of 2013 and has remained there ever since. First time this has occurred in Greece since 1968. Unemployment reached 27.3% in 2013 and youthful unemployment higher still. Despite the large reduction in unit labor costs it will take time and years of growth to bring this rate down. A third of the population is at or below the poverty level. Wages in Greece have dropped more than 20% since the beginning of the crisis. The reform effort has impacted almost all areas of economic activity. The reforms in tax administration especially, has helped to make Greece more competitive and investment friendly. Greece will now be able to press it’s comparative advantages which include the climate, culture, geography, history, natural resources and the many talents of its citizenry. One particularly bright spot for the Greek economy has been tourism. 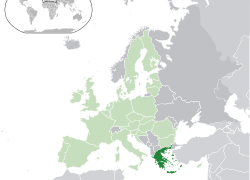 International travelers to Greece exceeded the target of 17 million in 2013. Net tourist receipts rose by over 18% last year. The hard times in Greece over the last few years have made many Greek entrepreneurs focus on the tourist market. The number of visitors arriving in Greece is breaking all previous records. At present 1 out of every 5 workers in Greece are dependent on tourism. For the second time this year the Confederation of Greek Tourism Enterprises (SETE)has revised projections for the number of expected arrivals. It has altered the numbers upward from 18.5 million to 19 million. This is nearly twice the number of citizens living in Greece. This huge number is not including the more than 2 million expected on cruise ships. Airline bookings and hotel occupancy rates are up by more than 25%. There is double digit growth in bookings from the United States, France, Germany, Italy and the United Kingdom. This surge is largely the result of regional turmoil and deflation inside Greece, which has resulted in bargain basement deals on food, lodging and other amenities. The Greeks have also become more tourist friendly by extending the hours of famous archaeological sites, museums and other historical sites. What has also helped is the absence of televised images of civil unrest, burning buildings, riots, demonstrations, and the reported police response. 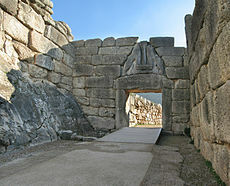 This caused millions of tourists to reconsider their travel plans to Greece in 2009 and 2010. This was when Greeks had taken to the streets to protest the new austerity measures of the government. The plunge in arrivals was a devastating blow to the already staggering Greek economy. SETE is projecting a target of 24 million visitors by 2021. This would contribute 20% to the GDP of the economy. That would create a million jobs in a country of 10.8 million, where 1.5 million are unemployed. There is no doubt that the Greek government will take the tourist sector of the economy seriously. The mass increase in visitors will put a premium on properties for these new arrivals to stay in. This will only be compounded in the coming years. There will also need to be a corresponding investment in infrastructure and transportation. 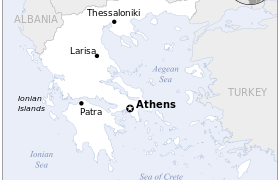 Many Greeks are in opposition to the proposed development plans along the Greek coast. These areas are still among the most pristine in Europe. A crucial feature with the tourist industry is the length of the season. Many areas are extremely busy in June, July, and August. The rest of the year the trade is much slower. A major goal of the Greek tourist sector, both public and private, is to extend this period of time. This massive tourist drive provides an investor the opportunity to invest in individual or commercial property. There is a record high number of properties (both high-end and lower-end )on the market. Prices have fallen by at least 50%. 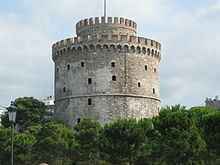 Real estate prices in Greece are now similar to those in Turkey and Spain. Many Greeks who owned more than one vacation property have now decided to put these properties up for sale. The Greek government is helping the real estate sector by passing a new law on property taxation that was enacted in 2013. It is likely to reduce the overall yearly tax burden for those owners of second homes. It also is significant for international buyers that the sales transfer tax has been cut by as much as 70%. Although the real estate market in Greece was previously dominated by investors from Germany, France, and the United Kingdom,it is now widening considerably. Increasing interest is coming from Eastern Europe, Scandinavia, Switzerland, the United States and even South America. As a result, demand is picking up and the market will begin to tighten, so now would be the time to make a move in this niche market. Many previous rental clients will end up buying property. If an investor is looking for property to later rent to tourists it is important to focus on regions that have long attracted foreigners. 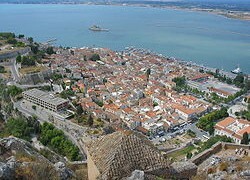 These would include Corfu, the Cycladic islands namely Mykonos and Santorini as well as the Porto Heli region of the Peloponnese. 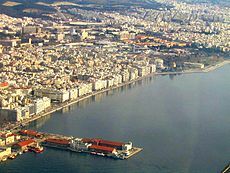 This would include the island of Spetses. 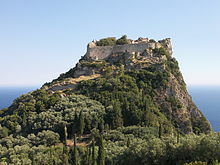 Other areas of interest would include the island of Crete to the south, or Halkidiki in the north. This northern area is very popular with the Russians. Patmos is another area to consider. It is a small island in the Dodecanese where one may luck out and find a historic home for sale. 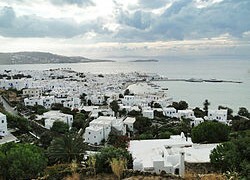 Of course less popular areas like the island of Naxos for example, will allow for much lower prices. A property there can be had for as little as $60,000 USD (United States Dollar). It is important to recognize that in the years 2002 to 2008 on average 150,000 properties were sold on an annual basis. In 2011, only 11,000 were sold. That is a 95% sector decline. It is a market that can be easily exploited if one is willing to make a longer term investment. There are no real restrictions on buying property for foreigners, except non European Union passport holders will need a special permit issued by local regional administration in some select areas. These would be near the border with Turkey, Crete, and the Dodecanese islands. Homes costing more than $104,700 USD have a requirement of the services of a local lawyer. The fee will typically cost the buyer 1 to 1.5% of the property’s selling price. The lawyer will do a title search, find a notary, as well as explore if there are any legal claims or liens on the prospective property. He should also look to have a structural engineer review the property and building permit. It is important to note that most properties for sale will soon be listed with identification certifying ownership, with a civil engineer’s certificate on building specifications and emissions. However, for now having a lawyer present is still advisable for any real estate transaction.. . Investors should arrange financing in their own countries as it is difficult to qualify for a loan in Greece at the present time. Keep in mind cash is king. If you have it on hand you can negotiate a much better deal. Notary fees are between 1.2% to 2% of the sale price. The agent fees are 4.96% of the purchase price of the property. The cost is split between the buyer and the seller. Transfer taxes paid by the buyer has been reduced from 10% to 3%. If you later decide to sell the property any capital gains will be taxed at 15%. but the government in power at present, is attempting to encourage investment by reforming the method of collection. The new law beginning this year replaces two previous annual real estate taxes with a unified tax on property ownership (ENFIA). It is expected to be marginally lower than previous incarnations. The new rate is 2 to 13 Euros ($2.67 to $17.38 USD) per square meter. An owner of a property will pay an additional real estate property tax (FAP) annually of 0.1% to 1% of the official valuation of the property. 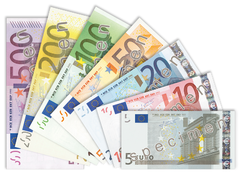 There is a separate tax of 1 Euro ($1.33 USD) a square meter on the surrounding land plot. As a final note crime rates are still low, outside the capital of Athens. This is despite the economic crisis. However, there is an increasing number of more expensive properties that are becoming gated and some even have surveillance systems. 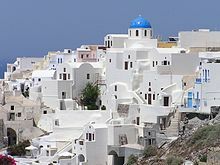 If one wishes to make an investment in the property market of Greece now is the time, before prices begin to move up again. A buyer has most of the advantages now, especially if they have cash in hand. 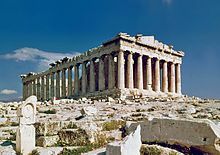 Hi Am an Indian and is interested in buying an apartment in Athens. Can someone please guide? Wonderful site you have here but I was curious if you knew of any discussion boards that cover the same topics talked about here? I’d really love to be a part of community where I can get feedback from other experienced people that share the same interest. If you have any suggestions, please let me know. Cheers!